We were then living in Jalpaiguri, a northern district town of West Bengal. 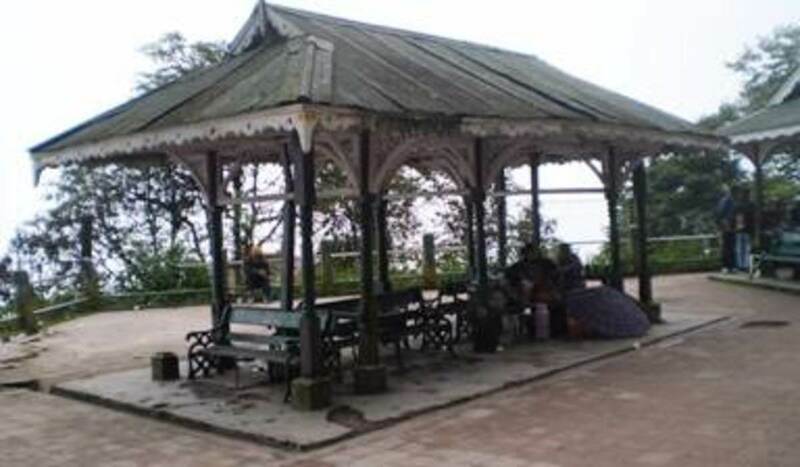 During the weekends we would go out mostly to the captivating dooars or other adjacent tourist destinations. Among all my friends Sunny was my most favourite for he was a man of many traits. The most remarkable was his power of acting. He could easily resolve any friendly tiffs by dint of his gift of the gab. 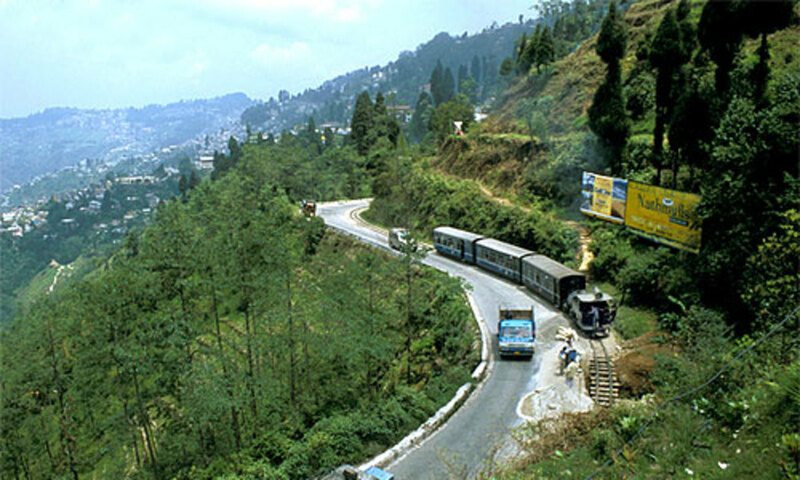 We could not oppose his proposal to visit the enchanting Darjeeling hills the next Saturday. Like any other visitors we were also lured by the toy train ride and dazzling snow peaks of Kanchenjunga overlooking the hill town. The only problem with Sunny was his inclination to go for fun putting on an act when we did not take him seriously. Otherwise very humorous and honest to the core, he could not resist any scope of doing a bit of fun on the slightest pretext. We had some reservations as our wives had accompanied us this time. So Mon and I had warned him several times not to go for showing off his performances as that would only land us in rather embarrassing situations. We knew very well that being accustomed to his many tricks we could digest his fun but our spouses would definitely not take such merriment and fun sportingly like us and that would for sure bring in rifts among the friends. So our forewarnings continued over and over again. 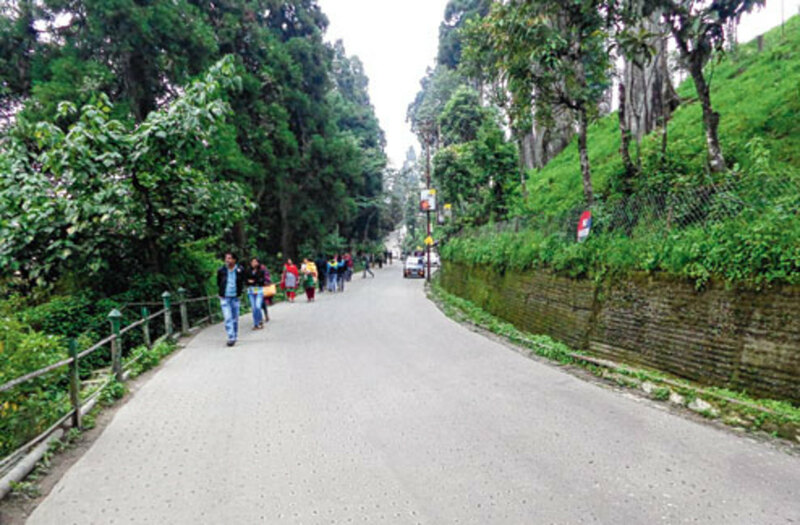 We reached the hill station in the evening via Siliguri which was not that much buzzing with multifarious activities in those days. Infact Jalpaiguri and Siliguri were twin cities vying for better development status. 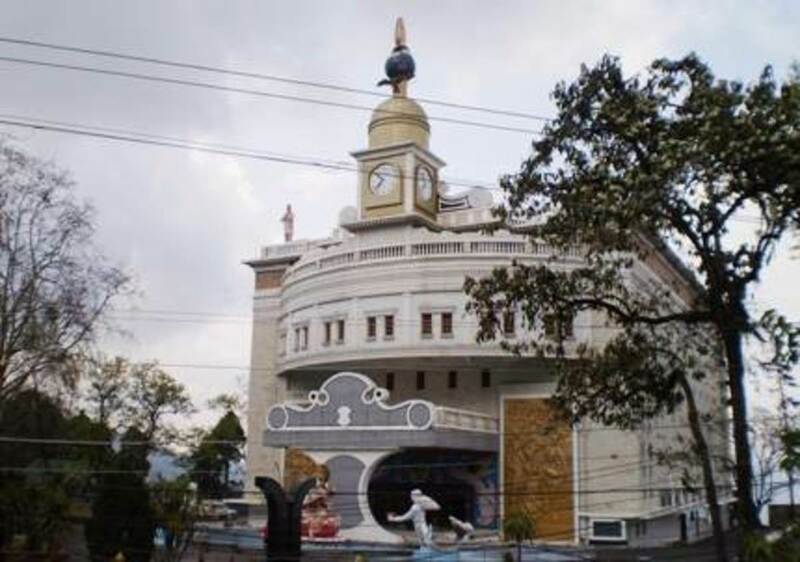 Although Siiliguri could prosper better thanks to the blessings of the government and its strategic situation, our town was culturally superior and it produced many eminent people notwithstanding. We were engaged in such discussions and aspirations for our beloved small town as we travelled by the cute Himalayan toy train whistling its way through the mountains. It was September and the air was a bit nippy. We arranged a good hotel for six of us. We did not get additional leave and so we would have to return to our town by Monday morning at any cost- that we knew well.Mon’s wife was a good singer and we enjoyed the night in total revelry with Sunny stealing the limelight by virtue of his humorous anecdotes all the time with unending enthusiasm. In the morning of Sunday we were hanging around the famous Mall which is the heart of the hill station. 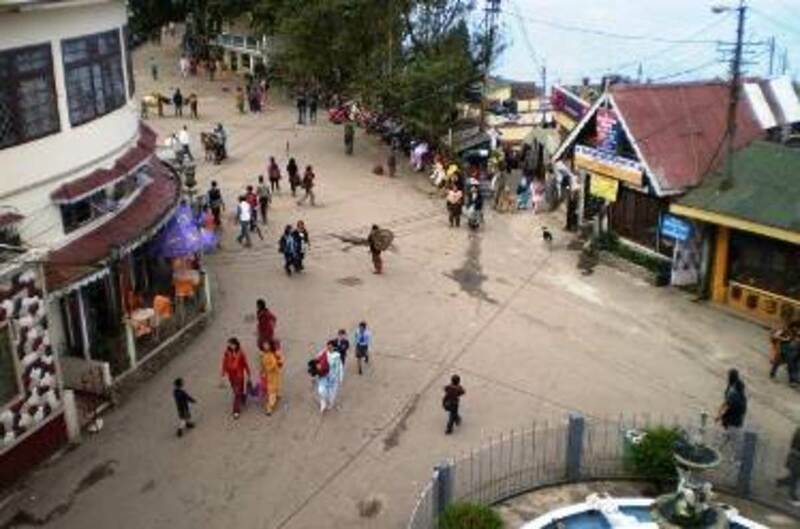 With shops lined up on one side it offers the tourists from every part of the globe to relax and admire the awesome nature with a panoramic view of Kanchenjunga. Enjoying a sip on a cup of hot coffee as we were observing pony rides by the travellers we could locate Tony, another friend, in the vicinity, accompanied by a woman. He was also our school friend and settled in Kolkata permanently. But we were not aware that he had already married. However, we presumed that he could not invite us at the time of his wedding ceremony due to some personal constraints. We moved forward inching towards him.Though a bit nervous at first he seemed to be very happy meeting us surprisingly and introduced us to his wife. 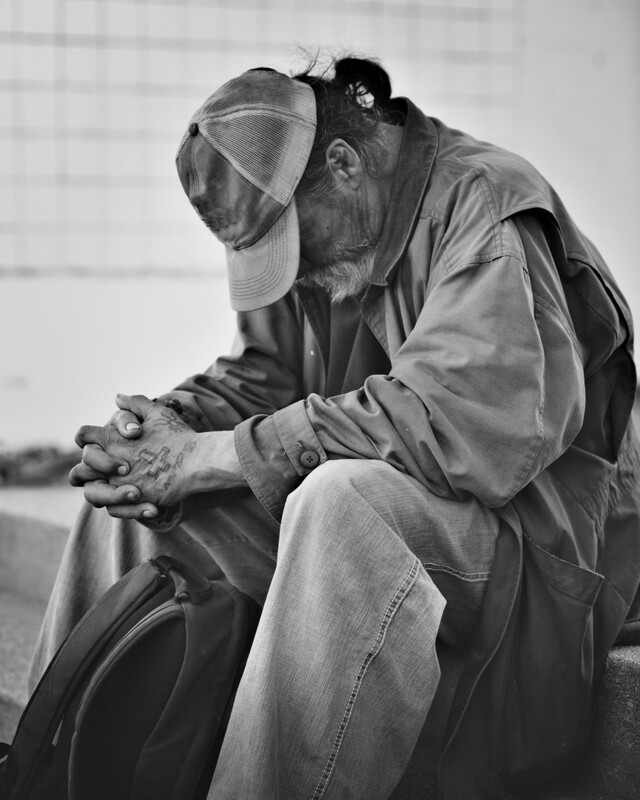 We were assured that Tony had come to the place with his wife only and finding our dear schoolmate so close to us our resentment for not being invited timely paled soon. We came to know that Tony had lodged in an adjacent hotel and we were agog with joy reminiscing the school days memories. The wives also became good friends in no time. Tony hinted that he would return to our town before leaving for Kolkata. Our joy became more pronounced as we would have the company of Tony in Jalpaiguri as well for a further period. So long we were taking part in most of the discussions and Sunny was surprisingly found to be a mere listener which was quite unlike his usual nature. But that kept us truly worried considering what was our creative friend up to. However, he soon chipped in speaking pointedly to Tony “Who’s is that lady besides you?” ‘‘She is my wife” Tony replied coolly. Spontaneously Sunny questioned again “If that be so, who was then giving you company near the Metro cinema last time when we met in Kolkata? Tony and his wife were flabbergasted. We remained totally confounded. It seemed to us that his wife began soon to bear a grudge against her husband for facing such a despicable truth in our presence. “What a cruel destiny for the couple! She could perhaps not even think in her dream such an ominous happening during her lifetime”- I thought within myself. Even though we knew Sunny as an actor such a bizarre incident taking place so suddenly and unexpectedly startled us all. We also began to look at Tony with hatred for cheating his wife. He had left our town long time back and we did not know his whereabouts so long and we could easily believe that our bosom friend had changed a lot. Tony was the best student in our class in the district school and besides extraordinary performance in studies he also excelled in sports as well winning many a trophies in the district. His father was an eminent pleader and he must have no difficulties in doing higher studies in Kolkata. Further he was very decent and amiable though somewhat shy. We never found him losing his temper easily. Turning to Toni’s wife who looked to be pale and morose shunning even the company of our wives Sunny asked brusquely “ I am really astonished. I thought you were a very much matured and well educated lady. I now discover you to be just the opposite. Living with such a decent and well behaved gentleman that my beloved friend is, how could you believe a man whom you came to know for the first time in your life. Fie upon you. I really need to preserve your photo to show other women in my town. I have not seen any lady like you before I could chance upon you.’’ The wife became speechless in shame and could easily realize her tomfolery.Thanking Sunny for his real act in the nick of time we ended our journey on a happy note. Thank you very much for your comments which are encouraging. I enjoyed this story Arun, and it had a good message for us all. Nice and absorbing story! You kept the interest till the end. Thank you for the happy ending. “gifted with superior powers of utterance or persuasion.” He can speak confidently in a way that wants to make people listen and believe him. And thankfully he could mend a broken bridge so everyone could remain happy on your outing. Cogerson-Thank you very much for stopping by and leaving such positive comments. Nice to see another part of the world. Job well done. Malay Chandan Pal- Thank you for stopping by and making such positive comments. I do hope you will continue to go through my hubs. Arun, I hardly find any spareble time to read viz, stories, any articles, what's app posts, etc. But, your hub pages' stories, articles; I read because of your nicely tied descriptions of various happenings in the article. So is the case with this current hilly topic. Please carry on writing such good stories/articles to enlighten the readers. Thank you. Sanjib Talukder- Thank you for reading the story and making such nice comments. Interesting story & good finishing. Carry-on this type of writing which creates curiosity for the eventuality. Devika- Thank you very much for reading my story. Your nice comments give me the necessary encouragement. Thank you for sharing this interesting story. I enjoyed reading and learning from you about these experiences. Shampa Sadhya - Thank you very much and I am glad to know that a very talented writer has found the work interesting. Felisa Daskeo-Thank you for your visit and such positive comments. I love the style of your writing. Your story is very interesting and your friends are interesting too.